FY2019 MHT Capital Grant Intent to Apply is now available! The Maryland Historical Trust Capital Grant for Fiscal Year 2019 is now open! 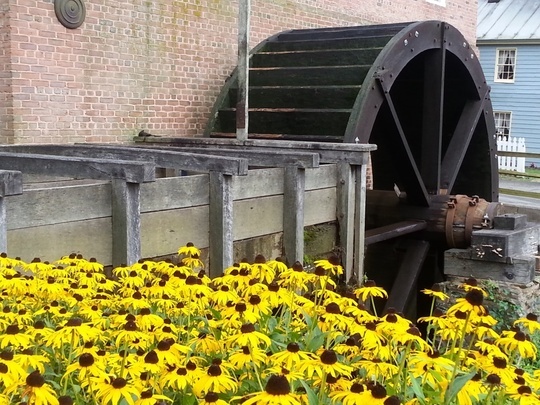 This grant is a competitive funding program for construction projects on buildings or structures on or eligible for the Maryland Register of Historic Places. You can read more about this grant and eligibility requirements at our website here. The application is a two-step process. The first step is the Intent to Apply (ITA) which is now open and available. Both the ITA and full application must be submitted online! If you do not already have a username and password, you will be required to create one. To start a new ITA, please click the link on our main grants page here. Once you start an ITA, you can return to it after logging in to the online grant system. After the ITA is submitted, you can review it but you cannot make any changes. Once you have submitted the ITA, we will email you a link to the full application. You are not obligated to fill out a full application if you submit an ITA. Intents to Apply are due February 15th, 2019 by 11:59pm. For questions, please contact Courtney Hotchkiss at courtney.hotchkiss@maryland.gov or 410-697-9514.